Our safety performance is very important to us for a number of reasons, not least because it means that we see our staff and those people who work for us going home from work each day unharmed. ISD Solutions has a strong safety record – our subcontractors have not had an accident that required reporting to the Health & Safety Executive for well over 3 years and our own staff went over 20 months before a Reportable Injury occurred. A major part of managing our subcontractor performance is the regular safety audits that we carry out almost daily; they help to reinforce safe ways of working as well as giving confidence to our clients that we’re a responsible and caring company to do business with. These safety audits are shared with relevant Project Managers and are scored against a range of criteria – for example, safety documentation and wearing the correct PPE. 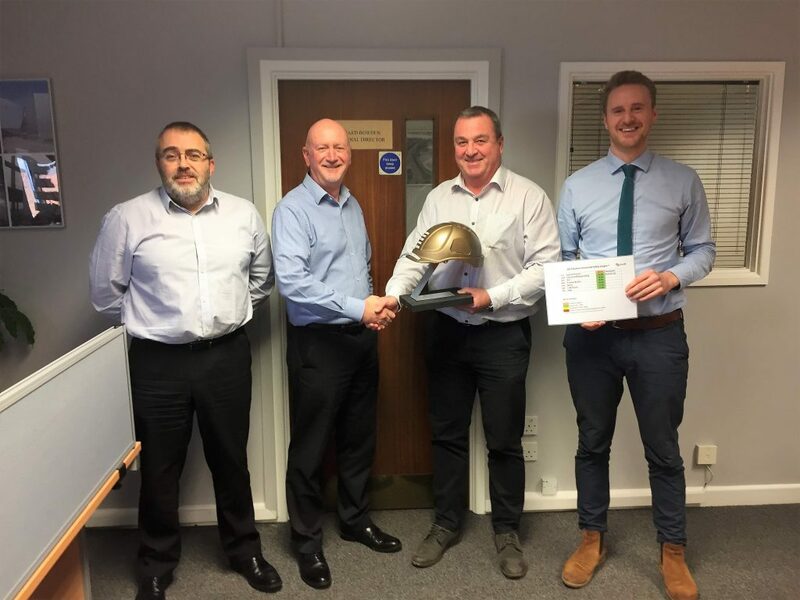 To help raise safety standards across the Company and to introduce a bit of friendly competition, an internal Safety League table is published every six months and the Golden helmet trophy is awarded to the Champions. Congratulations to this period’s Champions the Special Projects Division.